Neons are bang on trend right now and this t-shirt is an investment piece you shouldn't scrimp on. 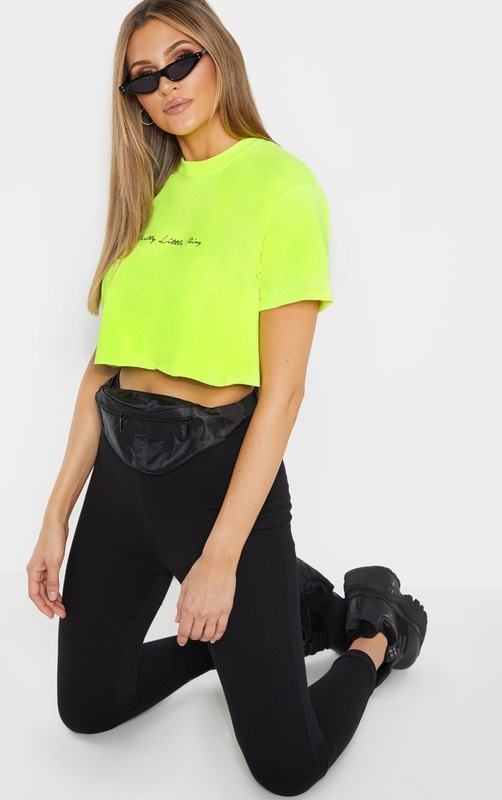 Featuring a neon lime fabric with a PrettyLittleThing slogan, short sleeves and a cropped length, we are obsessed. Style with high waisted leggings and box fresh kicks for a chilled, off-duty vibe.